If you forgot to add something to your announcement, you can easily edit and add more information. 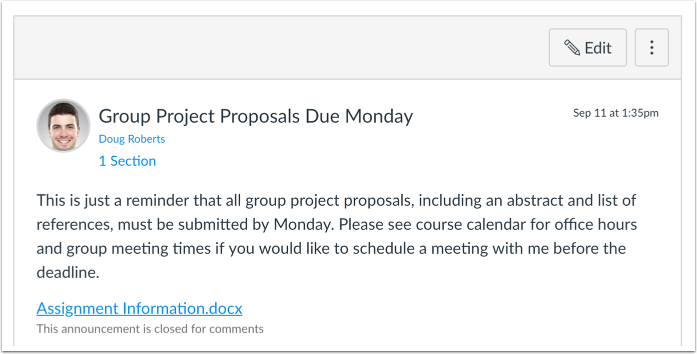 Note: Editing an annoucement will create a notification in the User Dashboard and Course Activity Stream. 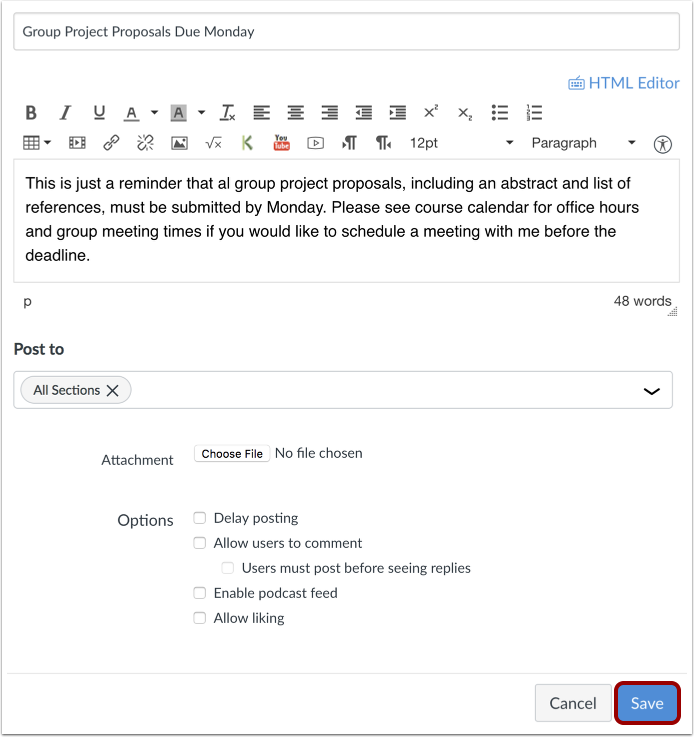 If you want users to receive the edited announcement via their notification preferences, you will need to create a new announcement. 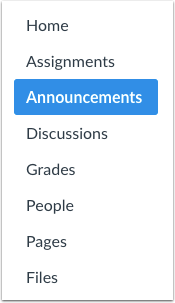 In Course Navigation, click the Announcements link. Click the name of the announcement. Edit the necessary announcement fields. 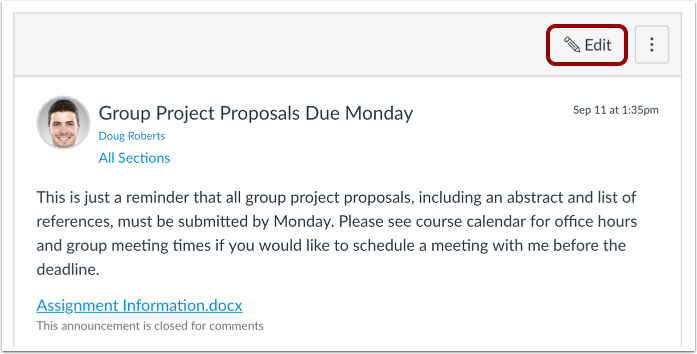 Previous Topic:How do I add an announcement in a course? Next Topic:How do I attach a file to an announcement in a course? Table of Contents > Announcements > How do I edit an announcement in a course?